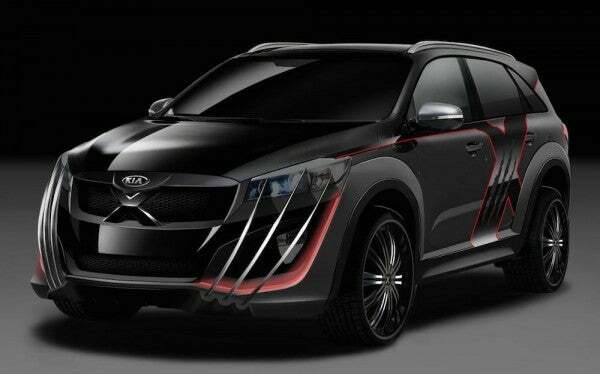 Kia has revealed their new Kia Sorento Wolverine, a car based on Wolverine from the X-Men movies (via Motorward). The car is a promotional device intended to drum up hype for the Blu-ray release of X-Men: Days of Future Past. The Kia Sorento Wolverine is based on the 2016 model Sorento, with a black paint job, and Wolverine’s signature claws in the front and back. With Wolverine actor Hugh Jackman being Australian, Kia will be showing the car off at the Australian Open, which they are the primary sponsor of. You can see more images of the vehicle in the gallery below.